This carving is part of the Wisdom Eye Koru series of carvings. It is named Kaha o Takenga meaning 'Origin of Strength' or 'Source of Strength'. When our wisdom eyes are open we are a source of great strength and inspiration to others. Although this simple carving has several meanings, at a basic level it represents the inner qualities of a peaceful mind. 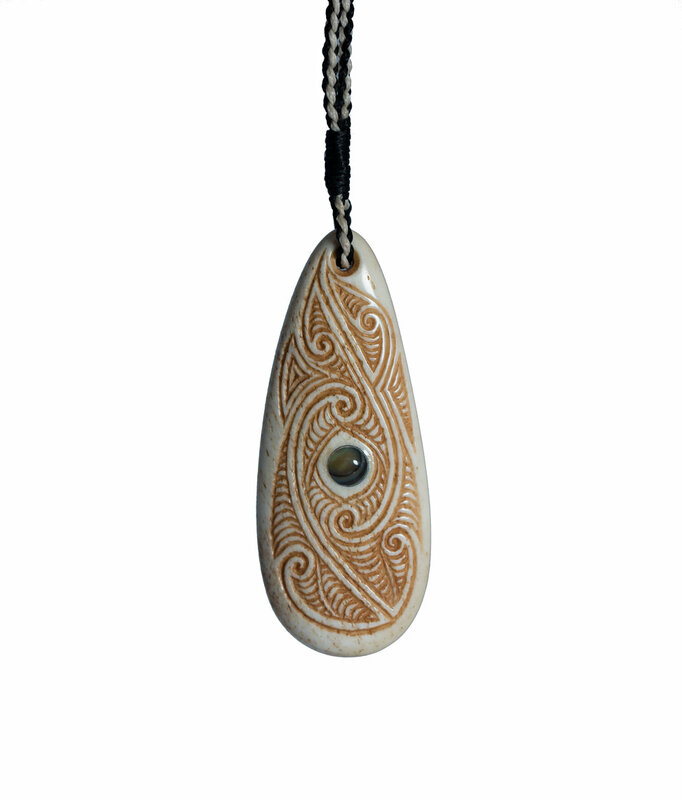 The ‘eye of wisdom’ is represented by the inlay of Pāua shell. True wisdom will always result in maintaining peace within. The inner journey of discovery leading to wisdom gives us a sense of profound joy. Hence, we find what we ultimately wish for. This inner journey is represented by the Koru flowing up the carving into from the centre of the eye towards the chord. The other Koru shape flowing from the top of the Pāua eye heading towards the bottom of the carving depicts strength of mind and strong determination. The back of the carving represents our connection and oneness with all living beings and our environment. All life is interconnected intricately woven with this world and other living beings. As we understand this more, our care and compassion naturally increases.